Siding shields your home from the weather’s harsh elements while also enhancing you curb appeal. However, the task of choosing one isn’t always the easiest. There are some factors to consider to make the most out of this installation project. Signature Exteriors, a premier vinyl siding company, shares some tips when picking a siding material for your upcoming project. An old, damaged siding system can affect the look of your exterior, but a siding replacement can reinvigorate your home’s appeal. 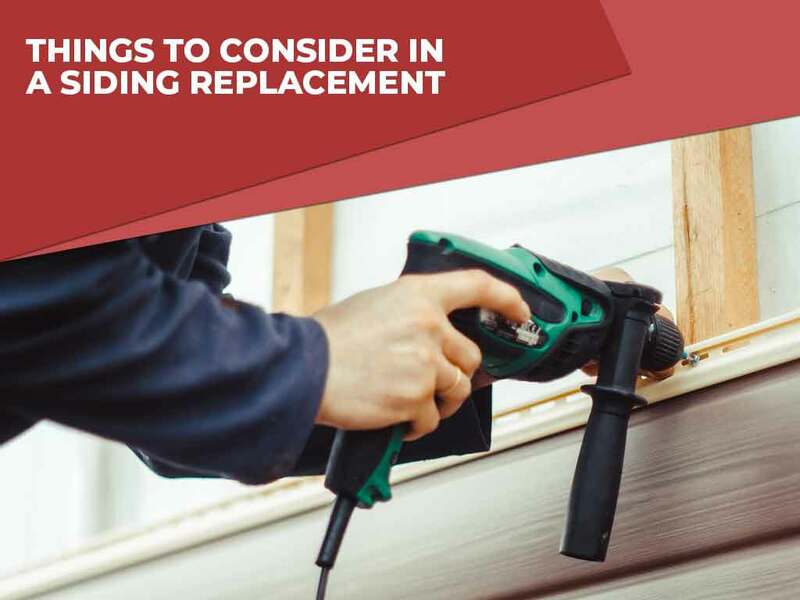 Many people fear that siding replacement can affect the authenticity of their architectural design, or that the variety of materials available makes the decision challenging. As a rule of thumb, homes with busy patterns or bold colors should have more a muted siding color to keep the exterior harmonious. On the other hand, properties with neutral shades can match siding with vibrant colors. When you turn to Signature Exteriors for your siding installation, you can pick from the wide array of hues from the James Hardie® siding collection. Siding provides an extra layer of protection to your home, which is why you need to invest in a system that can withstand any weather condition. For instance, James Hardie fiber cement siding can stand winds up to 140 miles per hour. Many homeowners tend to pick siding that doesn’t require regular upkeep. Vinyl siding, for instance, is a low-maintenance product. Plus, it covers the insulation materials on your walls, which helps keep your home cozy. This also means that your heating and cooling unit doesn’t have to work as hard, resulting in lower energy bills. Vinyl siding replacement is a worthwhile project when you turn to a trustworthy company like Signature Exteriors. Call us today at (866) 244-8029 to learn more about our products and services. We serve residents of Connecticut and other nearby areas.